Air/vacuum excavation. Highway engineers recognized that it was a good idea to expose subsurface utilities before beginning any excavation. Unfortunately, the only known way to do this in the early 1980s was to dig a trench with a backhoe. Far too often utilizing this method, unknown and even known utilities were damaged, resulting not only in damage to the utilities, but often in injuries, deaths, and property damage. Thus, the use of vacuum excavation to expose the utilities was of much interest to many progressive highway people. Surface geophysics. The first providers and users of SUE recognized that it would be very difficult to find subsurface utilities using vacuum excavation alone. Since the records provided by utility companies were more often than not inaccurate and incomplete, the use of emerging surface geophysical equipment was introduced to help determine relatively precise horizontal locations of subsurface utilities. The terms “designating” and “locating” were developed to differentiate surface geophysics and air/vacuum excavation, respectively. The value of SUE began to come apparent to highway engineers during the late 1980s. The Virginia Department of Transportation was the first state agency to use it on a regular basis. It soon spread from there into Maryland, Delaware, and Pennsylvania. SUE itself began to evolve from merely a designating and locating activity. Surveying and Data Management. Other important aspects of SUE were surveying the subsurface information to project control and entering it into clients’ CADD systems or onto project plans. This latter activity became known as data management. Sealing Deliverables and Professional Liability Insurance. .By the end of the 1980s SUE also included sealing deliverables and obtaining professional liability insurance. These activities led to SUE becoming recognized as a professional service rather than a contractor service. SUE really took off in the 1990s as more states began using it and more providers began to emerge. FHWA. The Federal Highway Administration (FHWA) recognized the value of SUE and began aggressively promoting its use. They did this in many ways, including the following: (a) memos were sent to field offices stressing the benefits of SUE and encouraging Division Administrators and their staff to discuss SUE with State DOT counterparts and to encourage them to give it a try; (b) various forms of literature were developed and distributed to FHWA and State DOT offices (papers, flyers, brochures, handbooks, etc. ); (c) Numerous papers were written for conferences and publications; funds were obtained for SUE-related research projects; (d) numerous presentations were made at workshops, conferences, meetings, etc. ; (e) funds were obtained to develop and/or distribute videos; (f) workshops were conducted for approximately 20 State DOTs; and (g) funds were provided for projects to demonstrate the value of SUE in three States (Oregon, Wyoming, Puerto Rico). Quality Levels. Probably the most significant advancement of SUE in the 1990s involved the introduction and use of the utility quality levels concept. The use of quality levels allows designers to certify on the plans that a certain level of comprehensiveness and accuracy has been provided. It was generally accepted by this time that the proper use of SUE saved time and money but this belief had not been documented. SUE was thus a prime target for the bean-counters. Recognizing the need to provide hard evidence as to its worth, the FHWA commissioned Purdue University to study the value of SUE on highway projects in four States where the SUE process had been used extensively. As more and more providers began popping up, it became apparent that some were providing good SUE services but that many were not. To further complicate the situation, many State DOTs didn’t know the difference, and when they obtained a flawed product they immediately concluded that SUE was no better than what they had always done. National guidance was deemed necessary to level the playing field and to set forth the proper use of SUE in a very positive manner. Ultimately, the American Society of Civil Engineers (ASCE) agreed to establish a national standard activity to set forth the responsibilities of engineers, project owners, and contractors for the collection and depiction of existing subsurface utility data on design and construction documents. The FHWA and several SUE providers helped fund this activity. When the FHWA began promoting SUE in the early 1990s only a few State DOTs were known to be using it. Today, nearly every State DOT has used it to some extent on highway projects and SUE has expanded into Puerto Rico and Canada. Many state agencies now use the SUE process routinely on every project. In addition, SUE has been used by many local highway agencies, utility companies, and design consultants. SUE has also expanded beyond the highway industry to military, airport, transit, port and other transportation industries. Purdue Study. Purdue University’s study, Cost Savings on Highway Projects Utilizing Subsurface Utility Engineering, was published and distributed in 2000. A total of 71 projects from Virginia, North Carolina, Texas, and Ohio had been studied. These projects involved a mix of interstate, arterial, and collector roads in urban, suburban, and rural settings. Two broad categories of savings emerged: quantifiable savings and qualitative savings. A total of $4.62 in avoided costs for every $1.00 spent on SUE was quantified. Qualitative savings were non-measurable, but it was clear to the researchers that those savings were also significant and were possibly many times more valuable than the quantifiable savings. It was concluded that SUE was a viable technologic practice that reduced project costs related to the risks associated with existing subsurface utilities and should be used in a systemic manner. ASCE Standard. ASCE’s standard entitled, Standard Guideline for the Collection and Depiction of Existing Subsurface Utility Data was published and distributed in 2003. The intent of this standard was to present a system of classifying the quality of existing subsurface utility data. Such a classification would allow project owners, engineers, and constructors to develop strategies to reduce risks, or at minimum, to allocate risks due to existing subsurface utilities in a defined manner. This document, as a handout or as part of a specification, assists engineers, owners, and contractors in understanding utility quality level classifications and their allocations of risk. The standard closely follows concepts already in place in the SUE profession. Many State DOTs are therefore already in “compliance” with this standard through their use of SUE, or through their inclusion of SUE specifications in their engineering contracts. SUE Definition. The ASCE standard makes it very clear that SUE is a process, not a technology. It defines SUE as a branch of engineering practice that involves managing certain risks associated with utility coordination; utility mapping at appropriate quality levels; utility conflict analysis; utility relocation design and coordination; utility condition assessment; communication of utility data to concerned parties; and much, much more! How can all these items be SUE? Keep in mind that SUE today is a process. It is no longer just paint marks on the ground or vacuum excavation. These technologies are not even mentioned in the ASCE definition. They may be part of SUE, but then again, they may not be. Identify utility owners that have facilities on or may be affected by the project. Contact these utility owners (face to face meetings are preferable) and provide them with information about the proposed project. Schedule periodic follow-up meetings. When the highway plans are about 30% completed, or possibly even sooner in the planning phase, provide them to utility owners along with a request that they review the plans and provide pertinent as-built or other existing utility information. Obtain existing utility information from other sources. Review all information that can be obtained and plot it on a utility composite drawing or something equivalent. This is Quality Level D (QL-D) information. 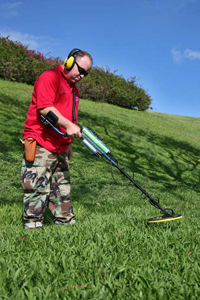 Use appropriate surface geophysical methods (i.e., pipe and cable locators, terrain conductivity methods, resistivity measurements, metal detectors, ground-penetrating radar, etc,) to designate existing subsurface utilities or to trace a particular utility system. This provides two-dimensional horizontal information. Place paint marks on the ground. Place identification flags or stakes on the paint marks or coding on the pavement at 50-foot intervals and survey to project control. Depict resulting information in the client’s computer-aided design and drafting (CADD) system, Geographic Information System (GIS), and/or manually-plotted plan sheets. This is Quality Level B (QL-B) information. If requested by the project owner, also survey and depict information about aerial utilities. Develop a conflict matrix showing all possible highway/utility conflicts. This involves comparing depicted utilities information with proposed plans (highway, bridge, drainage, maintenance of traffic, and other). The resulting matrix contains columns to record the physical location of each conflict, the name of the utility involved, the nature of the conflict, and action needed. Upon analyzing the information recorded on the matrix, it will be obvious that some conflicts can be readily resolved, some conflicts are questionable and additional information is needed, and some conflicts cannot be resolved. Expose selected subsurface utilities to obtain three-dimensional information. Use minimally intrusive excavation methods, such as vacuum excavation. Depict resulting information using computer-aided design and drafting or manual plotting methods onto plan sheets. This is Quality Level A (QL-A) information. Deliver depicted information to the project owner. The basic deliverables for utility information are a CADD file, a GIS file, or a plan sheet that has utility information in plan view for Quality Levels A, B, C, and D and utility information in plan and profile view for Quality Level A. Work with the project owner’s designers to be sure they understand the information provided and to suggest possible ways to avoid conflicts. Obtain relocation cost estimates and plans from utility companies. Store pipe location and condition information in a database for asset management. Work with utility companies, one-call centers, and contractors during construction as needed. Continue to represent the utility owner in all utility-related activities as the project progresses. These tasks may be provided by the project owner, but are more commonly performed by a SUE provider working closely with the project owner. They are most effectively utilized when coordinated by a professional utility coordinator employed by the provider. The utility coordinator is responsible for working with the owner and the affected utilities to determine the need for each task and to assure selected tasks are performed properly and expeditiously. These tasks may be used in a different order than that prescribed above (i.e., it may sometimes be more practical to perform (a) QL-C tasks before and/or in conjunction with QL-D tasks, and/or (b) QL-B tasks before and/or in conjunction with QL-C or QL-D tasks). Some of these tasks should be used on every project, but it may not be necessary to use all of them (e.g., QL-D and QL-C information may be all the information deemed necessary for a particular project). If not willing to accept a particular risk, project owners may opt to obtain additional information. Determinations may be made every step of the way until acceptable risk levels are achieved.). No matter how many tasks are employed or in what order they are applied, it is all the SUE process. SUE today is not what it was in the 1980s and 1990s. It continues to evolve very rapidly. It’s not just a technology anymore. The technologies are just the tools for the SUE engineers to use. SUE today it is an engineering process encompassing every aspect of utility-related work in the most efficient, risk-free, cost-effective manner possible. What does the future hold for SUE? Only a very few people in the early 1980s envisioned what SUE might be today. And only a few people can probably see what it will be in the future. But there is no doubt that it has totally revolutionized the way subsurface utilities are handled on highway projects and many other public works projects. SUE’s growth since the beginning has been phenomenal but may only be the tip of the iceberg. When it comes to making holes, smaller is better. Surgeons have recognized this fact for years. Keyhole surgery is less intrusive and causes less trauma and tissue damage to the patient, which contributes to a shorter recovery period. The same holds true for cutting holes in roads to access, repair or view buried infrastructure. Keyhole methods can cut excavation, repair and restoration costs in half. With keyhole techniques, maintenance activities are conducted through small pavement openings, resulting in significant cost savings, reduced public inconvenience, and more efficient repairs. Potholing/Keyholing technology provides a cost-saving alternative to common excavation and repair methods, which often require large “open” holes, followed by the removal and disposal of unwanted pavements and soils. These conventional practices – which involve several large pieces of equipment (backhoes, dump trucks, pavement breakers) – can account for 80% of the total cost of a job. Reduced Traffic Disruption: Faster one-step permanent pavement repair means reduced traffic disruption with fewer and shorter road closings with no repeat visits. Roads are open for traffic just 30 minutes after the repair. Saves Dollars: Less intrusive, more precise, pavement coring and reinstatement process means less structural damage to road system, longer pavement life and reduced maintenance. Saves dollars. Reduced Footprint: Neat, almost invisible, 18 inch diameter circular, keyhole core (area: 1.75 sq. ft.) vs. 2 ft. x 4 ft. conventional rectangular road cut (area: 8 sq. ft.) means reduced ‘scarring’ of the community landscape. Environmentally Friendly: No road-cut spoil to be disposed of and no temporary patching compounds with volatile organic compounds (VOC’s) to escape into the atmosphere. Cleaner, Safer, Less Intrusive Worksite: No jackhammers or large excavation equipment means less mess during and after the excavation and reduced disruption for neighbors. Check out the video below of the keyholing process.